Panel: Increasing opportunity and harnessing talent—what works? Innovation is widely viewed as the engine of economic growth. Recently, Stanford Professor Raj Chetty and his colleagues at the Equality of Opportunity Project analyzed the lives of more than one million inventors in the United States to understand the factors that determine who becomes an inventor in America. 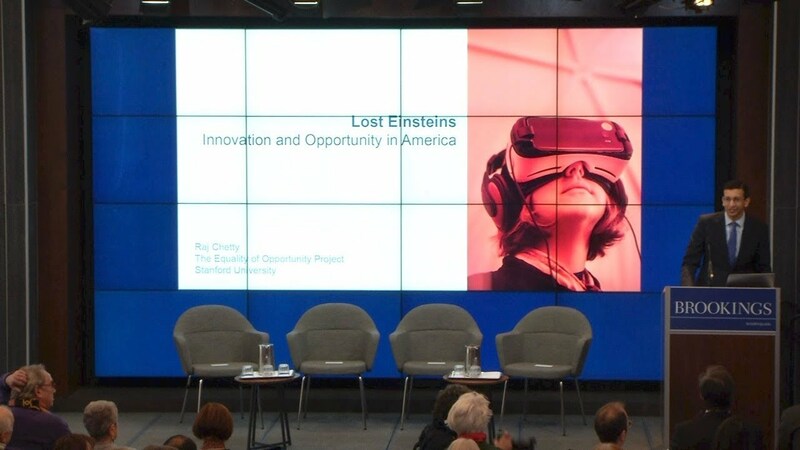 They found that there are many “Lost Einsteins” — women, minorities, and children from low-income families who could have had high-impact discoveries had they been exposed to innovation while growing up. If these groups invented at the same rate as white men from high-income families, we would have four times as many inventors in America today. 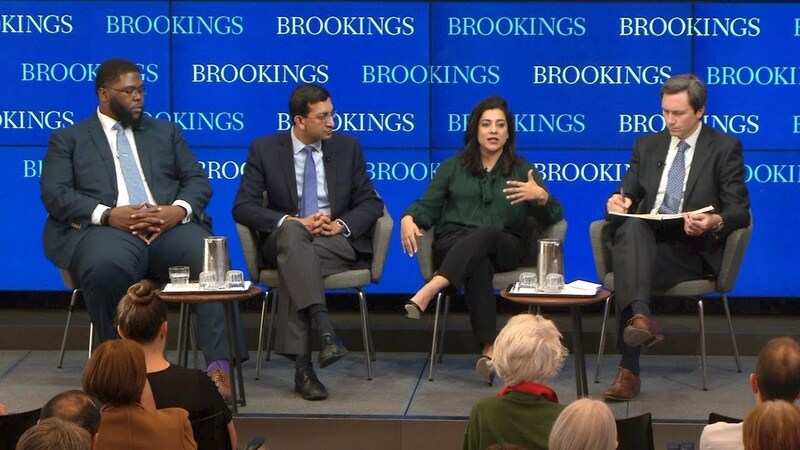 On January 11, Raj Chetty visited Brookings to discuss his new research, “Who Becomes an Inventor in America? The Importance of Exposure to Innovation.” Following his presentation, Chetty participated in a panel discussion on how to harness underutilized talent with Reshma Saujani, Founder and CEO of Girls Who Code, and Tony Jack, Assistant Professor of Education at Harvard University. The panel was moderated by Brookings Senior Fellow Richard Reeves. After the panel discussions, participants took questions from the audience.